Fastest Hunting Strike or Do You Wanna Smack? Our eyes contain millions of light sensitive cells called rods and cones. Rods enable us to see light and motion, cones colour. Dogs have two types of colour receptive cones, Green and Blue, which enables them to see blue, green and little bit of yellow. Humans are better of as they developed three types of colour receptive cones. We have Green, Blue and Red and that permits us not only to see the red but all the colours that are derived from red. Butterflies with theirs five type of colour repetitive cones are even better than humans. They basically see two colour we do not even have names for and this advantage delivers them ability to see a massive spectrum of colours that our brain is not even capable of processing. Now try to imagine animal with not two, three, four, five or ten but with sixteen colour repetitive cones. You think it is not possible? Well it is, because when it comes to vision, Mantis Shrimps are at the top of the food chain. Do you remember the last time you look at the rainbow? Our rainbow is built out of three colours and we consider it beautiful thing. Well what would you call it if it was created from 16 colours? I guess it would be something like massive explosion of light and beauty beyond our imagination which would make our brain goes crazy instantly. 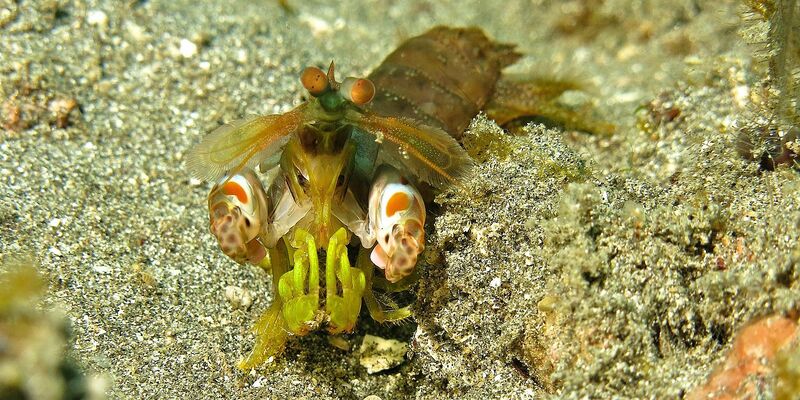 It is still not really explain why Mantis shrimps need such an amazing vision but we already know that they are the animals with the fastest hunting strike in the world. Perhaps they want to have a better look at the poor thing they decide to smack. Mantis shrimps come in two varieties there are spearers and smashers. Majority of mantis shrimp species are spearers. While structurally are both of them very similar they differ in the tips on they arms. Smashers accessorise with a closed club-like fist and spearers with open barbed snare. Which obviously would lead to the different sort of hunting on both sides. One would prefers smashing while the other stubbing. And it has to be said that for a creature which can perceives and present such a beauty they are really a nightmare hunters with creatively dangerous mind : ). The key to the crustaceans knockout punch is speed and we already said they are the fastest on the earth. To be able to create such a force in addition to their ordinary muscles, their arms contain special power implication system. It takes long time for a muscle to contract and very short time (thanks to the spring loaded mechanism) for the limb to fly out. So how fast actually they can swing around their arms? Well very fast! They can smash as fast as 23 meters per second from a standing start about the acceleration of .22calibre bullet. Mohammad Ali would be nocked down before he would even realise he was in some fight and let me remind you that this is all happening under water. If human beings could accelerate our arm so fast in the air we would be able throw a baseball ball in to the orbit. Now because the strike is so rapid and surface of the striking mantis shrimp arm is designed anticlasticly (curved in opposite ways in two directions; saddle-shaped) it nearly always generates cavitation bubbles (region where the pressure of the liquid falls below its vapour pressure). The collapse of these cavitation bubbles produces measurable forces on their prey in addition to the instantaneous forces of 1,500 newtons that are caused by the impact of the smasher arm against the striking surface, which means that the prey is hit twice by a single strike. This under sea shockwave produced by the collapse of the cavitation bubbles can kill the pray even if the mantis shrimp misses its target. So do not tell me this pretty thing needs such good vision for nothing else but enjoyment of sonoluminescence (tiny burs of light produced by collapsing cavitation bubbles) and pure scared faces of underwater fellas being smacked by its deadly hammer. I am not a big fun of Aquariums of any kind as I think fish belong to open water and not in to glass box. So I am quite happy that you will find these crustaceans in any tanks really rarely as they tend to slaughter every other creature they share the tank with and also because they can easily break the aquarium glass if they get to angry with their reflection or with you looking curiously at them. So this was little story of the mantis shrimp. They amazing creatures with great abilities and to see them under water is always a joy. 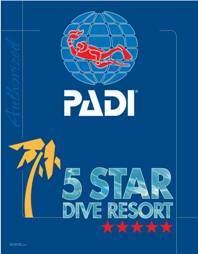 OK Divers wish you a Good luck with spotting them.